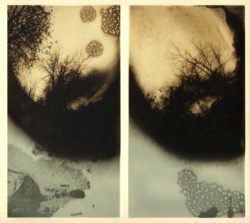 The intersection of printmaking and photography is rich with creative possibilities. This week-long workshop is dedicated to exploring photopolymer intaglio. We’ll begin with learning the details of the photopolymer platemaking process—preparing digital files and film positives, best practices for exposing and developing plates—at the same time we’ll discuss and troubleshoot your own photopolymer set-up. With that good information under your belt, we’ll then explode the boundaries of what can happen when we begin with a digital photo and transform it into a print. Layering plates in a single print; tampering with the process, the exposures, and the plate itself to create unusual and unique effects; adding drawing or painting to the process; and exploring color and registration methods will all be a part of our week together. There are so many compelling possibilities when the processes and technologies of these two worlds—photography and printmaking—come together.